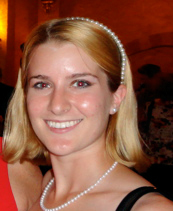 Colleen Curran is currently studying for an MPhil in Medieval English Literature at Oxford University. She recently completed her Bachelor’s degree in English and Medieval Studies at the College of the Holy Cross in Worcester, Massachusetts. Her personal research interests involve Anglo-Saxon book history and culture, specifically the exchange of ideas with regards to handwriting and dissemination between Anglo-Saxon England and the Carolingian empire. She is also interested in subsequent centuries’ response and re-writing of Anglo-Saxon prose and poetry, specifically the sixteenth century revival of Old English literature. On the side, Colleen is interested in the digitization and future preservation of medieval manuscripts. 'Transgressing Liminal Boundaries: Composing Hallfred's Conversion Through the Literary Landscape in Hallfredr Saga' (2012). 'Fair Words and Fairer Forms: The Demonic Illustrations in Junius 11 and the Exile from Eden' (2012). 1 Geoffrey Chaucer: The Father of Modern English?